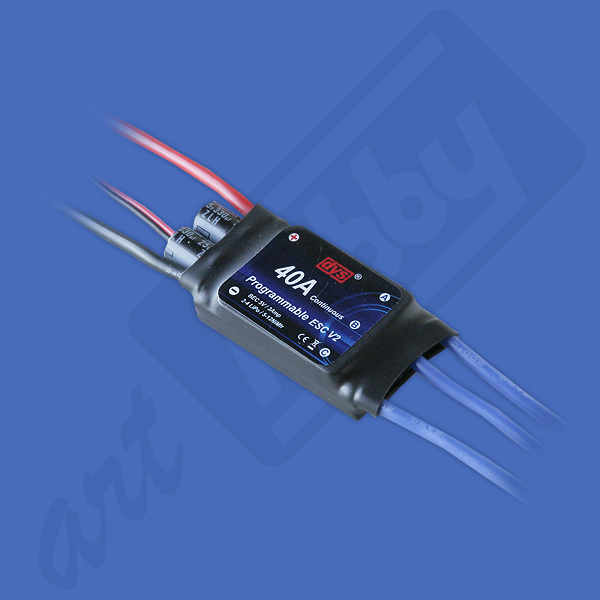 This 40A ESC features automatic LiPo detect cutoff right from the package. Just plug in and fly your lipos safely with no programming needed (or change the setting to fly NiCad/NiMH). Becaus has programable two types of "Soft Start" then coud be used with radios that use switch to turn motor ON and OFF eliminating stresfull impact to blades induced by electric motors when turened ON. 32 g / 1.12 oz. 57x26x13 mm / 2.24x1.2x0.51 in.